Will Extreme Temperatures Cause Transducer Failures? Excessively high temperatures are a common source of pressure transducer difficulties. Like most other electronic equipment, pressure transducers are effected by temperature, shock and vibrations. They consist of numerous components that only function within specified temperature ranges. Transducers exposed to temperatures exceeding those ranges during the assembly process can be adversely affected. 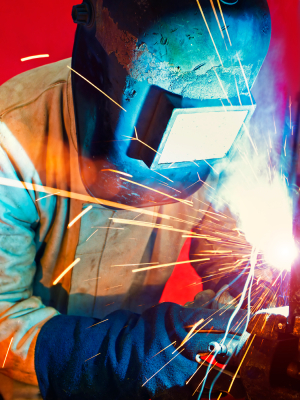 For example, if the manufacturer is welding components immediately next to a transducer, or welding an enclosure that encases the transducer, the heat generated from the welder could cause the transducer circuit board solder to reflow. This will result in open circuits or bad joints that may cause faulty readings or intermittent problems before or after shipping to the end user. Similarly, a transducer could be damaged by a heat gun used to shrink wrap a chiller if excessive heat is applied within inches of the sensor. Operators must be aware of the harm heat can cause components, especially those with electronics. Although the machine is being built on the OEM’s manufacturing floor, consideration should also be given to the environment into which the machine ultimately will be installed. For instance, a pressure transducer installed on a steam line very close to where the steam is being generated will cause a negative change in the dynamics of the sensor. In a case like this, a simple solution is to move the transducer further away from the steam line. To learn more about what can cause a transducer to fail, download the whitepaper: "How to Prevent Pressure Transducer Failures."